Do you have some January birthdays that you could use a really quick, easy, and pretty set of earrings for? If so, I’ve got you covered today. I think that these jeweled charms from Nunn Design are a great go-to for quick birthstone jewelry. 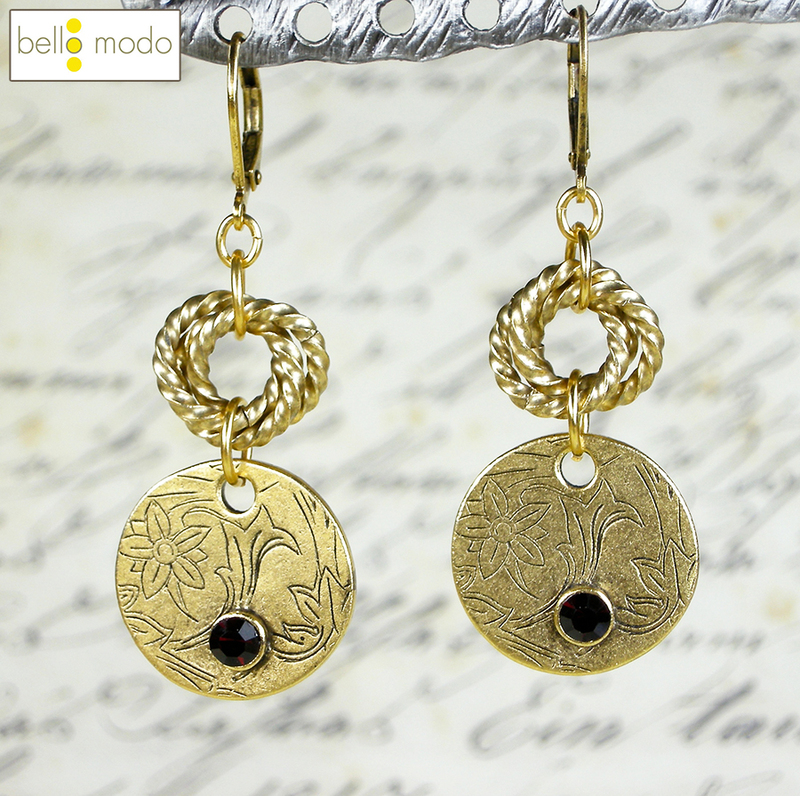 January’s birthstone is garnet, so I chose to use these pretty antiqued gold decorative tags with garnet to make a super quick pair of earrings that look gorgeous. I’m really fond of the rope jump rings. I think that the little extra detail can add a lot to a design. In this instance, I made them a highlight of the design by making simple chainmail rosette links with them. 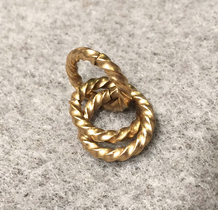 To make a chainmail rosette link, get out three of your 11mm rope jump ring. Close one of the jump rings, and open the other two. When you have completed one, make another! 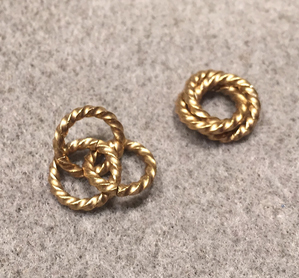 Attach a small oval jump ring to the holes in each of the leverback earwires. 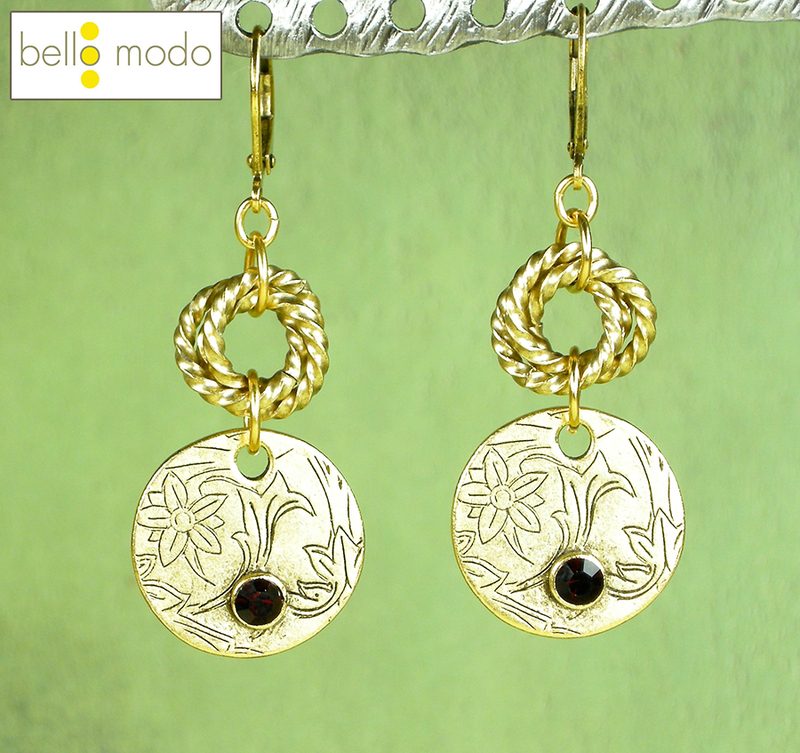 Use 6mm round jump rings to attach your rosette links to your garnet decorative tags. 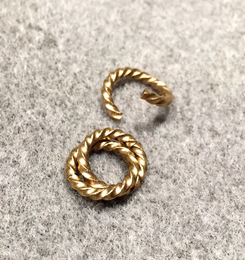 Use another 6mm round jump ring to attach your rosette links to the small oval jump rings on the earwires.